Take the Madison St./Convention Place exit. Stay straight to go onto 7th Ave.
Take the first left onto Madison St.
1483 Alaskan Way Pier 59 is on the left. Take Union St. exit, exit 165B. Stay straight to go onto Union St. 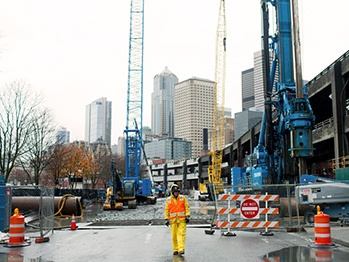 The new SR 99 tunnel will create new pathways to and from the downtown waterfront. Learn more about these changes on WSDOT website or visit our Important Information section below. Guests receive $1 off your fee. Present your parking ticket to the Aquarium's customer service desk to receive the discount stamp. Members receive $1 off your fee per hour parked with maximum of $3 discount per visit after 10am. Present your parking ticket to the Aquarium's customer service desk to receive the stamp. Then put your membership name/number on the parking ticket before paying when exiting the garage. Limited four-hour metered parking is available along Alaskan Way. Wondering where to park on Seattle’s Waterfront or in Pioneer Square? Visit DowntownSeattleParking.org/parking to locate a $3-$4/hour space near your destination! 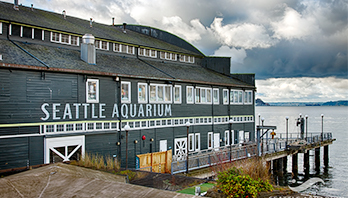 The Seattle Aquarium encourages visitors to consider climate-friendly choices for your next visit. Metro Transit offers many bus routes to take you within a 15 minute walk of the Aquarium. Visit King County's website to plan your trip on public transportation. Free waterfront shuttle—Getting to the Aquarium is easy (and free!) with the new waterfront shuttle. 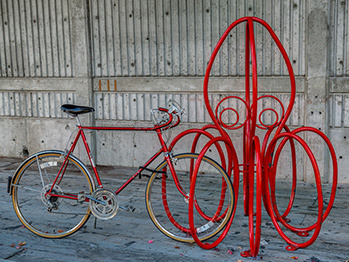 Hop on at any of the 14 stops from Seattle Center to Pioneer Square and get off a few steps from our front doors. Shuttles run approximately every 20 minutes, seven days a week, from 10am to 8pm. Service is planned to run through Labor Day 2019. The new SR 99 tunnel has made getting to and from Seattle via SR 99 a very different experience than it once was. To help drivers navigate the changes the new tunnel brings, click on the links below for videos from the Washington State Department of Transportation to see the new driving routes. Driving north to and through Seattle with the new SR 99 tunnel. Driving south to and through Seattle with the new SR 99 tunnel. Getting to northbound 99 from in and around Seattle with the new SR 99 tunnel. Getting to southbound SR 99 from in-and-around Seattle with the new SR 99 tunnel. Learn more about these changes on WSDOT website and visit their online viaduct demolition tracker for more information. Take elevator or stairs to the right of Pike Place Fish Market down to Western Ave.
Cross Western Ave and take Hillclimb stairs down to Alaskan Way. You made it! Cross Alaskan Way to reach the Seattle Aquarium.